Create this fun, unique pincushion that features a hexagon bloom inside of an old zinc Ball jar lid! 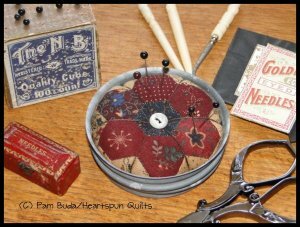 The pattern includes full color instructions, the papers needed to create the hexagon bloom and the vintage zinc jar lid!! 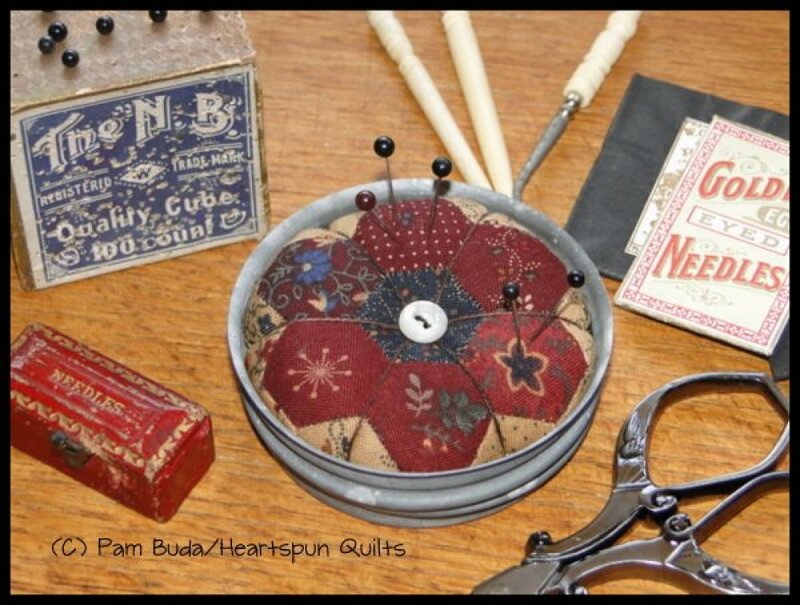 Make the hexagon bloom with the fabrics of your choice and a small button for a darling pincushion! Email me for postage rates outside of the United States.